This season I am excited to be riding a KTM bike in the Moto2 championship. Unlike other Moto2 bikes, the KTM uses a tubular steel frame, unique to the KTM chassis, instead of the more commonly used aluminium spar frame. 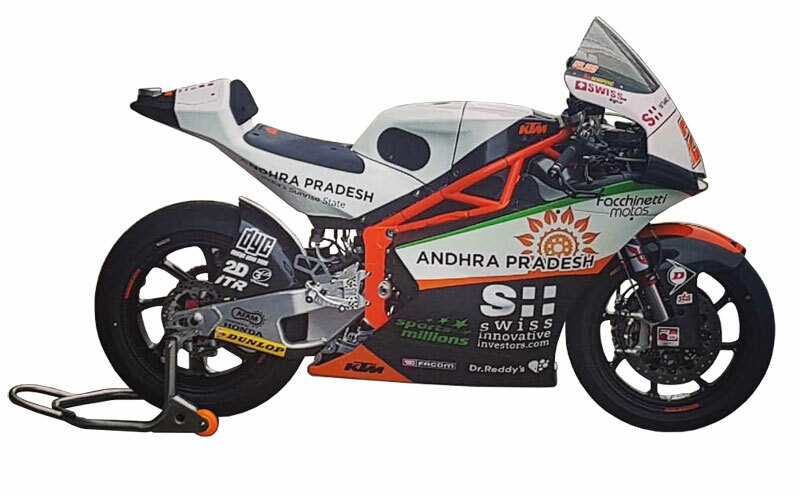 The engine, as with all Moto2 bikes, is a Honda 600cc with a max power of over 140BHP (103 KW) and max speed in excess of 275 km/h. The bike has Dunlop front 125/75/R17 and Dunlop Rear 190/75/R17 tyres and an FCC Moto2 spec clutch. I love riding on a KTM bike as there are a number of qualities unique to KTM; my bike uses high performance WP fork and shock suspension, designed to respond well in any situation. The Akrapovic Moto2 2018 titanium exhaust is lightweight, as are the Oz 17” racing wheels both of which help improve performance.